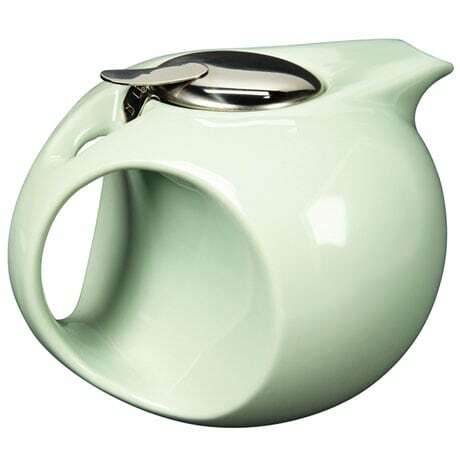 The sleek lines and mint-green glaze evoke the style of the 1930s. Ceramic pot has a stainless-steel lid and removable fine screen infuser so you can brew with fresher, more flavorful looseleaf tea. 7 ½" wide, 6 ½" high. Holds 45 oz. Hand wash. Not for use in the microwave.